I spent more than my usual 15 minutes for this sketch. I had time to make sure of proportions, shade the surfaces and place background items, to give an idea of the environment. 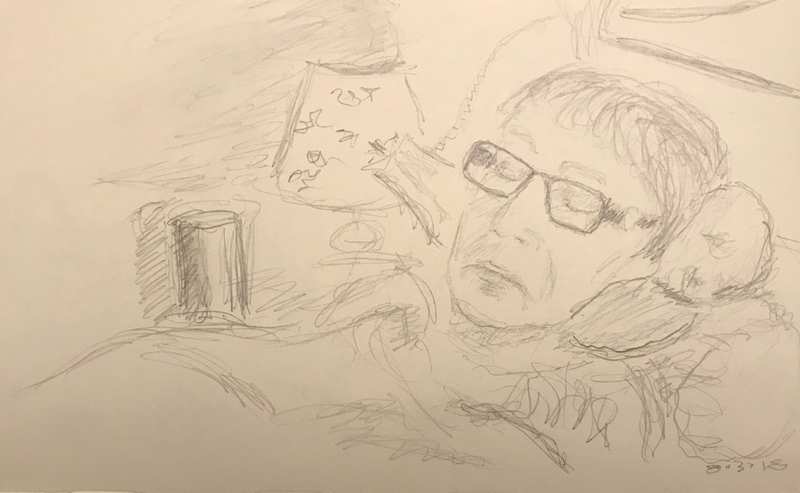 This entry was posted in Personal Stories and tagged art, artistic process, background, creativity, environmental portrait, grogginess, pencil sketch, portrait, sketch, visual art. Bookmark the permalink.